The Serbian Orthodox Church venerates Saint Sava every year on January 27. 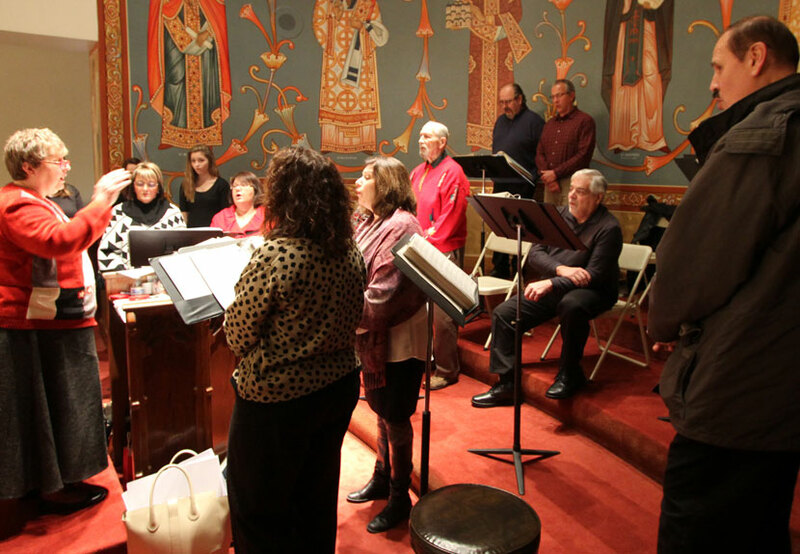 This year the congregation at Saint Sava Serbian Orthodox Church in Merrillville, Indiana will celebrate Saint Sava Day with a special day of programming organized by the Sunday School taking place Sunday, January 29, 2017. Everyone is invited to this program that will include a blessing of the Kolac, luncheon, traditional folklore dancing by the “Srbadija” youth folklore group, poems, and singing by the children of the Sunday School. Saint Sava, Archbishop of Serbia, was born with the name Rastko in 1169, the son of Serbian National leader Stevan Nemanja. As a young man Saint Sava yearned for the spirited life, which led him to flee to the Holy Mountain where he became a monk, and with rare zeal followed the ascetic practices. Nemanja followed his son’s example and himself went to the Holy Mountain, where he lived and ended his days as the monk Simeon. Sava obtained independence for the Serbian Church, granted by the emperor and the Patriarch of Constantinople, and became its first archbishop. Together with his father, Sava built the monsatery of Hilandar followed by the building of many other monasteries, churches, and schools throughout the land of Serbia. He traveled to the Holy land of Jerusalem on two occasions, on pilgrimage to the Holy sites there. He made peace among his two brothers, who were in conflict over their rights. Sava also made peace between the Serbs and their neighbors. 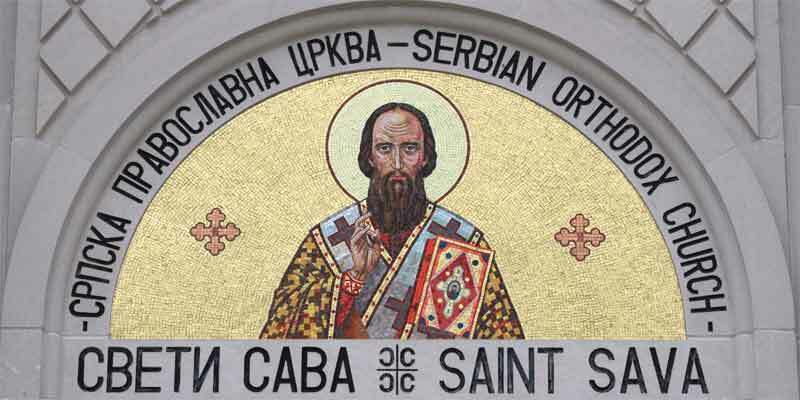 In creating the Serbian Church, he created the Serbian state and Serbian culture along with it. He brought peace to all the Balkan peoples, working for the good of all, for which he was venerated and loved by all on the Balkan peninsula. He gave a Christian soul to the people of Serbia, which survived the fall of the Serbian state. He died in Trnovo during the reign of King Asen, after being taken ill following the Divine Liturgy on the Feast of the Theophany in 1236. King Vladislav took his body to Mileseva, where one Turkish Sinan Pasha removed it, burning it at Vrachar in Belgrade on May 10, 1595. Saint Sava is the Patron Saint of Churches around the world, including Saint Sava Church in Merrillville, Indiana where an icon of Saint Sava can be found in the mosaic directly above the front door of the church and on an icon on the iconostasis of the Altar.